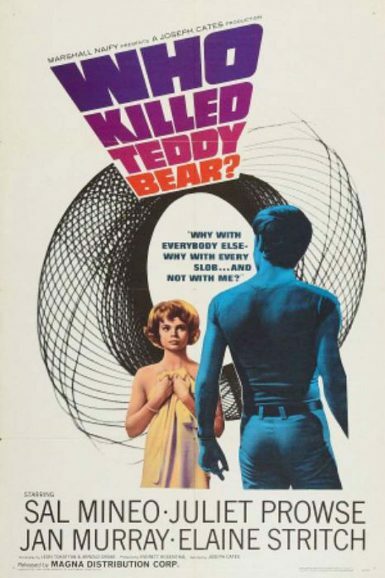 Ariel Schudson discusses Who Killed Teddy Bear? on the New Beverly blog. The incredible day that shook the Earth to its core! Spectacular special effects and stunning widescreen cinematography headline an all-star disaster epic. 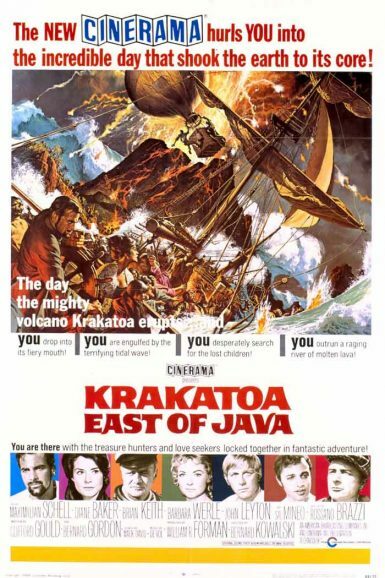 Maximilian Schell captains a ship filled with treasure hunters and thrill seekers, not to mention a hold full convicts, headed to the island of Krakatoa (technically, west of Java). But when a long-dormant volcano explodes with A-bomb force, he’ll have to outrun a raging river of molten lava, outwit a mutinous crew and overcome a prisoner uprising, if he plans to survive. Featuring Diane Baker, Brian Keith, Rossano Brazzi and Sal Mineo.